Curry Chicken is one of those recipes that I always keep handy and I cook time after time. This is one of my family favorite dishes and even my youngest can never have enough of this chicken. The curry sauce is so good and perfect to serve with white rice. Make sure to save this recipe for later… You are going to love it! Besides how tasty this chicken recipe is, my favorite thing is that it’s super easy to make and in 30 minutes I can have it hot and ready on the table. If you end up having leftovers it’s one of those recipes that’s just as delicious the following day. 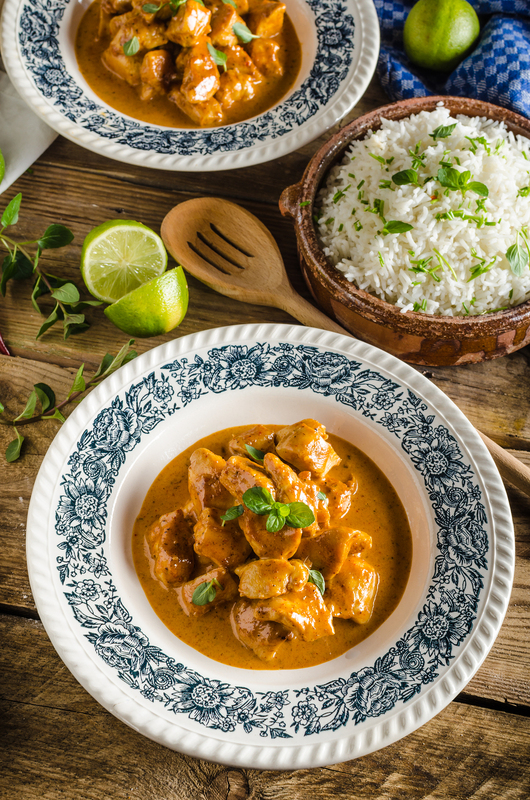 When you are ready to make our curry chicken make sure to scroll down and get our white rice recipe… So good! In a pot ( I like to use cast iron ) cook chicken in hot oil over medium heat about 10 minutes or until lightly browned, turning to brown evenly. Remove chicken. If necessary add 1 tablespoon additional oil to pot. Add garlic and onion to pot; cook until tender. Add curry powder and salt; cook and stir for a minute. Add chicken broth. Return chicken to pot. Bring to boil and reduce heat. Cover and simmer about 10 minutes or until chicken is tender and no longer pink. Stir the half & half or milk into the corn starch and pour in the pot. Cook and stir until thickened and bubbly. Cook and stir for one more minute. 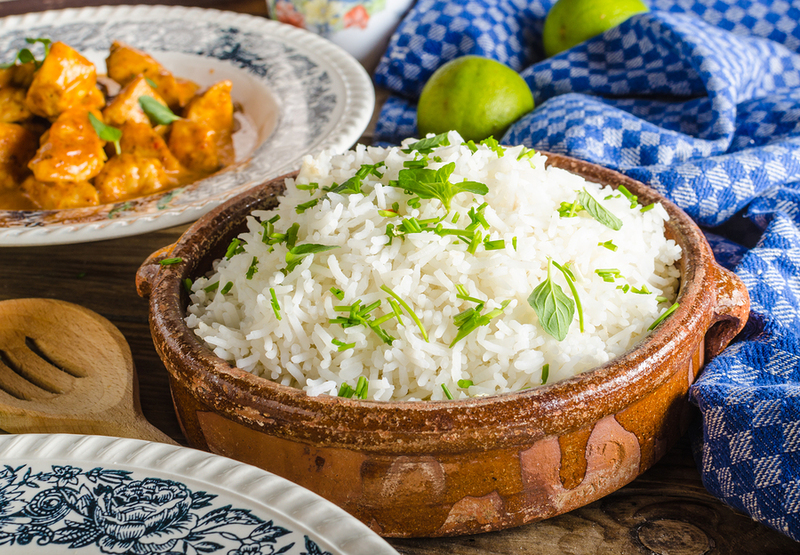 We love to serve this chicken with this white rice. 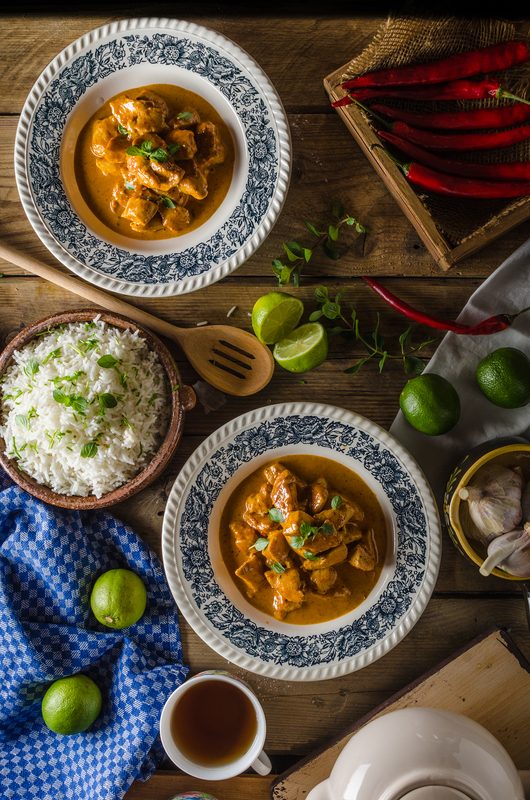 Here are other chicken recipes that we love! NextEnlighten Retreat – Are you coming? Hi!! Looking forward to making this, quick question though, you said add curry powder, but you forgot to add it into the ingredients. How much curry powder do we add? Thanks so much! 🙂 can’t wait to try. I just fixed it… Sorry about that! Chicken Curry Recipe – I can’t see under the ingredients Curry Powder – how much should I use. I can see to add it under the Instructions but can’t see it under the ingredients so I don’t know the quantity. Oops… I just fixed it! Sorry about that! I don’t see any curry in the recipe?!?!? How much? Looks great-I want to try it. Kim, it’s fixed now… Thank you for letting me know!